Continually buying footwear for your dog that drags its paws? 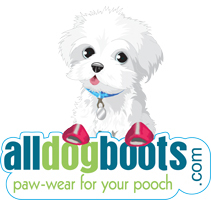 This is the ideal product to extend the life of any dog shoe! Shoe Goo is a superior adhesive and sealant that easily and permanently repairs all types of footwear and adheres to all kinds of materials. Originally designed for tennis players who drag their feet when serving, Shoe Goo is perfect to use as protective coating for orthopedic footwear to extend the life of the boot by coating the top and toe of the boots. Can also be used to repair worn rubber soles or any fabric holes. Great protective coating for boots used for dragging paws. Water resistant immediately upon application. I've been a fan of Shoe Goo for along time, and of course grabbed some with our order because the price was lower than what I would pay locally. We use it for many things, not limited to shoe repair! We bought this product when we purchased Meshies for our GSD. Because he was dragging one back foot, he did begin to wear a hole in the boot. I used Shoe Goo to repair the worn spot; it seems to be holding up and hopefully will provide some extended wear-life.